It's the last day of National Craft Month today. Graphic 45 are ending the month with a bang on their blog today with six new projects made from six different collections by Romy, Miranda, Denise, Karen, Arlene and myself. Click here to head over and take a look. We're heading of to Truro for some retail therapy today and then coffee on the beach on the way home. Clare saw your tutorial on the pop up card and just love it!! 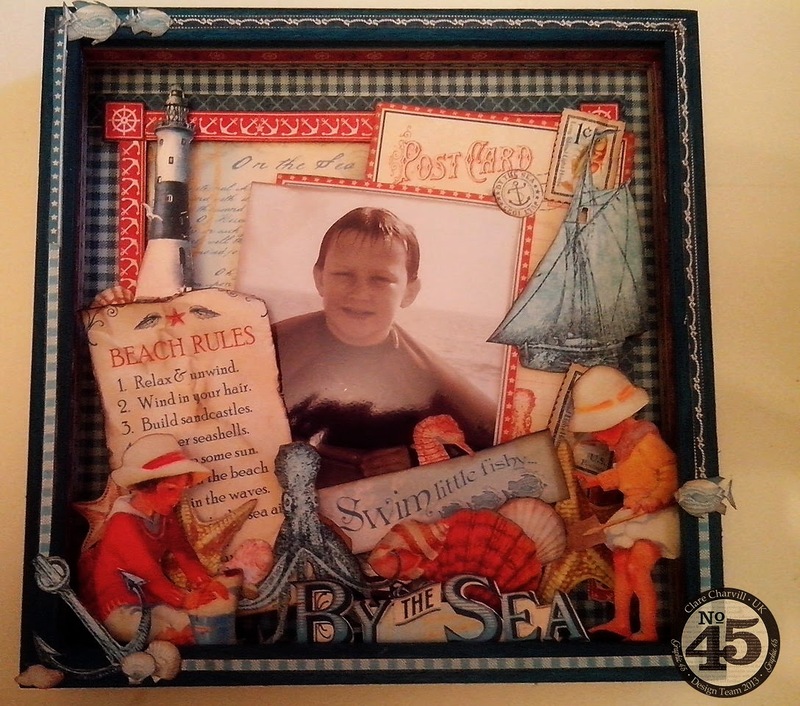 This By The Sea shadow box is really precious, just love it too......like everything you do!!! Am getting ready to hop over to Graphic 45 to check things out. Hope you had a lovely weekend, talk to you soon. Morning Clare, Coffee on the Beach sounds ideal to me !! Have a great day. I'm so loving your project today, the seaside theme is gorgeous, and it is a 'layout' that is a 'home decor' , you are taking scrapbooking to another 'level'. What a fabulous idea this is. I will have to have a go at this, I love it !! Congratulations to Mari, you lucky girlie.